Medical Marijuana in New York Medical marijuana laws in New York state are unusual in comparison to most laws pertaining to the subject. Almost all the states that allow medical marijuana, permit patients to have it in various forms, from bud to concentrates. However New York’s laws only give those with medical marijuana cards the right to eat edible forms of cannabis. In early January 2014 Governor Cuomo gave a statement saying that he was planning to put medical marijuana laws into place via executive order. 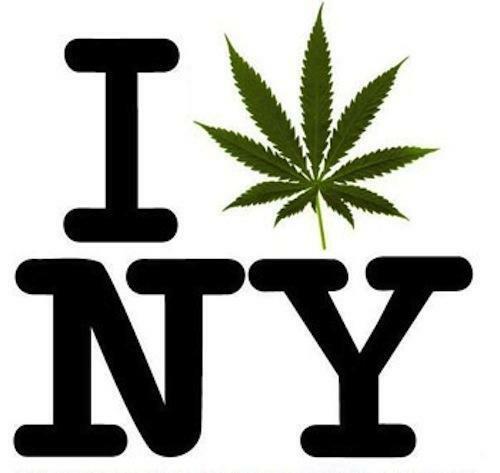 On June 20th 2014 NY Legislature passed the bill allowing all forms of non smoke-able medical marijuana. The following monday Cuomo happily signed the ‘Compassionate Care Act’ into effect. The bill was very strict in the specifications of who could apply for a New York medical marijuana card. The only NY citizens applicable were people suffering from severe diseases, Aids to Cancer, Epilepsy to Parkinson’s disease and everything in between. But you couldn’t go down to your local doctor and grab a card just for a back ache. The process for getting a medical cannabis card can be so difficult that since the program’s launch (recently on Thursday 1/7/2016) NY state department of health has only issued around 70 cards. This may seem like a relatively decent number, but considering that roughly 200,000-400,000 are eligible to receive a medical ID card, 70 is a pretty abysmal figure. Over 170 doctors in the state have signed on to be physicians who will then give patients a certification they can bring to the department of health to apply for a medical card. The list of said doctors is going to be released to various healthcare providers so they can refer patients, state officials say. So far eight out of twenty medical marijuana dispensaries in New York are open for business, the other twelve plan on opening sometime this month. One such dispensary that is currently operating in New York is called Columbia Care. The CEO of Columbia Care (Nicholas Vita, who at one point worked for Goldman Sachs) attempted to come up with a rough estimate of how much money is to be made in the New York medical marijuana industry. He stated that if even 200,000 of the almost 400,000 New York citizens that are eligible got a card and used it regularly; New York could sell over $300,000,000 of marijuana a year. Assuming that each cardholder spent $100-$300 a month on the substance. Even if the estimate is off by 50%, New York is looking at a serious cash influx seeing as how currently there is a 7% sales tax on all medical marijuana products. While there are only 70 medical card holders currently, the number could rise dramatically.